Although Budapest’s centre can be explored by walk some parts of the city can be reached more efficiently by public transport. If you like driving, and don’t mind traffic jams you can also get to your destination by car. 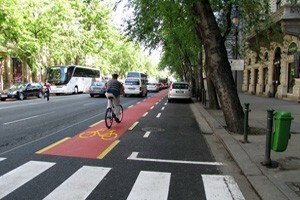 With more and more cycling paths, the Hungarian capital is becoming quite a biker-friendly city. 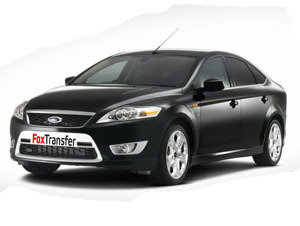 The quickest and most comfortable way of getting to the city centre from Budapest Airport is by a taxi transfer. Well- maintained car fleet, English-speaking, friendly drivers. 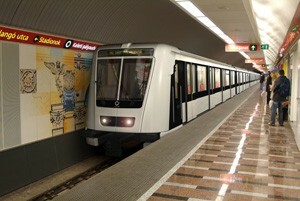 Budapest has four metro lines (M1, M2, M3, M4). The newest M4 (green line) started operation at end of March 2014. Using the metro is easy and it will get you to any where in the city centre within a couple of minutes. 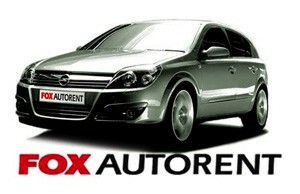 If you are comfortable with driving in a large city then several car rental companies offer cars for rent in Budapest. 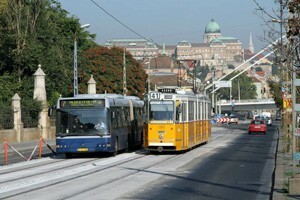 Find out about driving rules in Hungary, and recommended car rental companies. As of September 1st, 2013. taxis in Budapest are yellow and have to have an availability light on the roof. wait tariff (75 HUF/minute) instead of mixed rates applied previously. Around 200 km cycling paths run in the city and a public bike rental network (BuBi) had been put into operation in 2014. There are also bike tours if you wish to explore Budapest by two wheels.